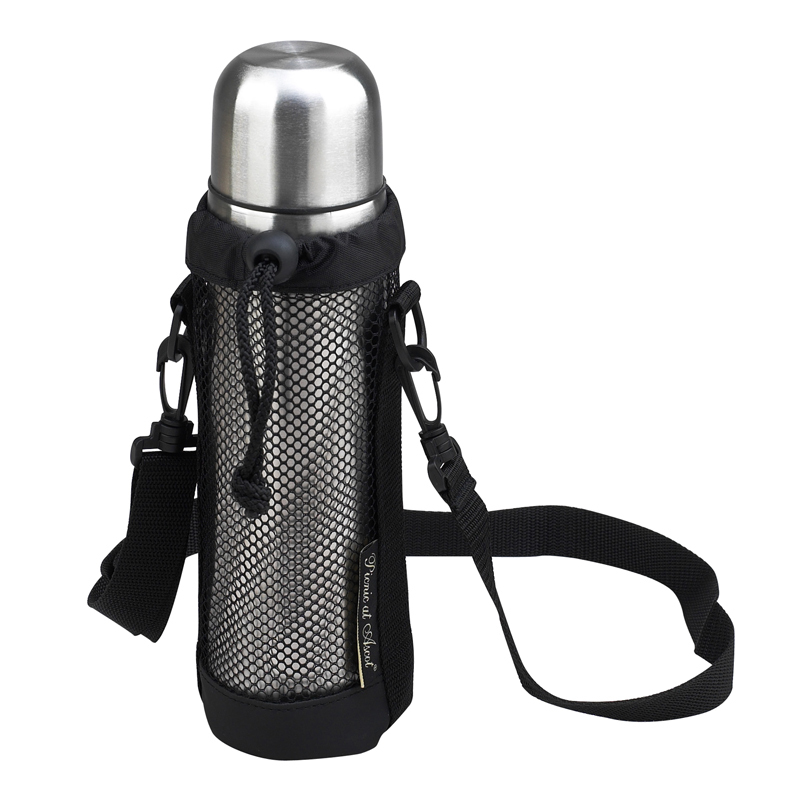 24oz Brushed stainless steel vacuum flask with mesh carrying case and adjustable shoulder strap. Push and pour top for easy of use. Weight per Box: 24 lbs.